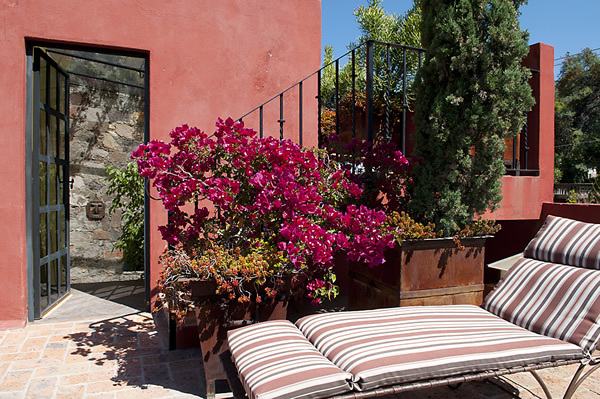 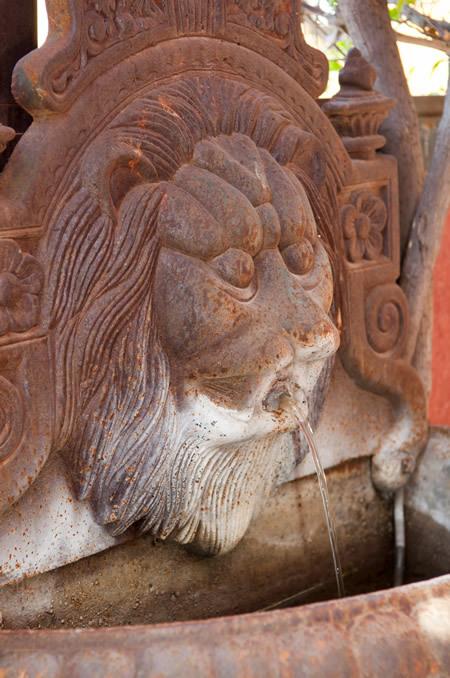 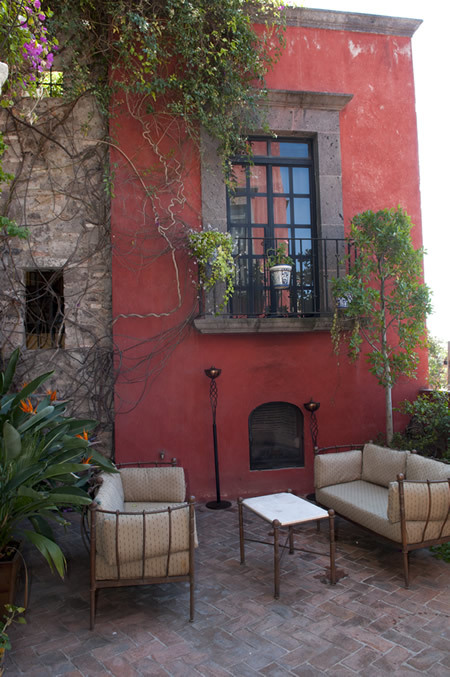 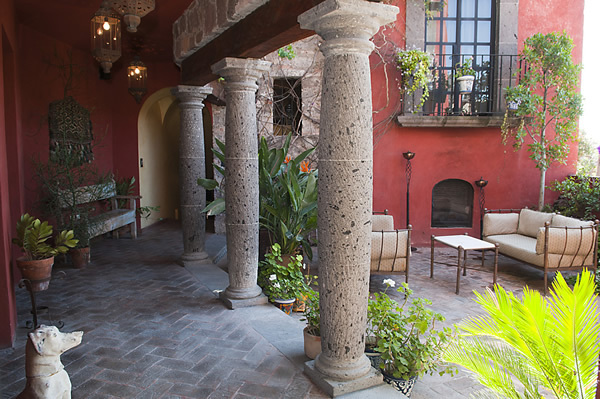 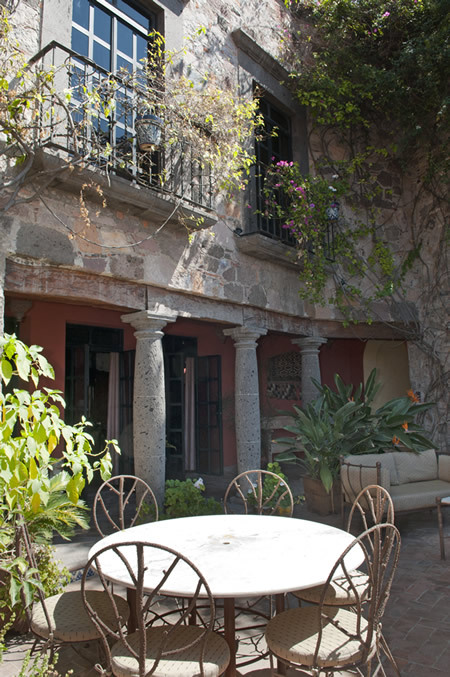 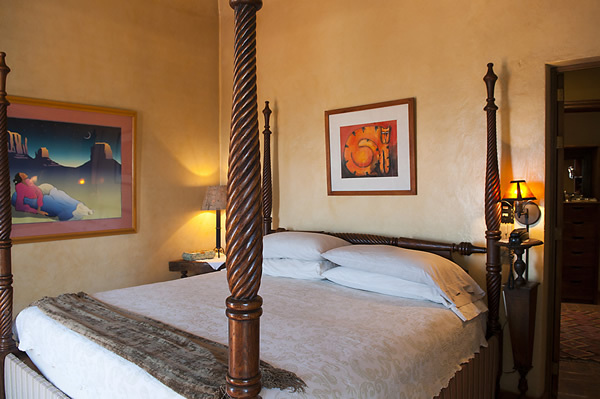 Located on the eastern upside of the Jardin, five blocks away, within the historic district, and offering the most magnificent views of downtown San Miguel. 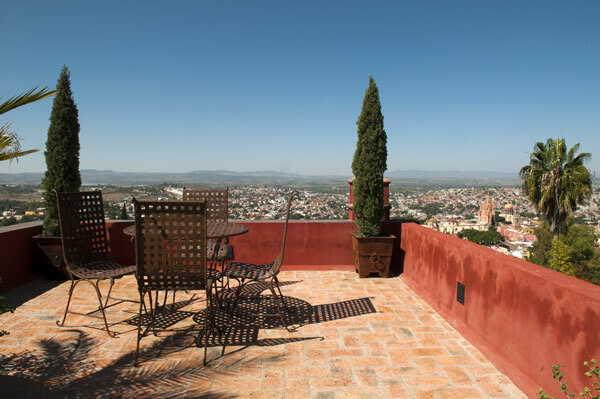 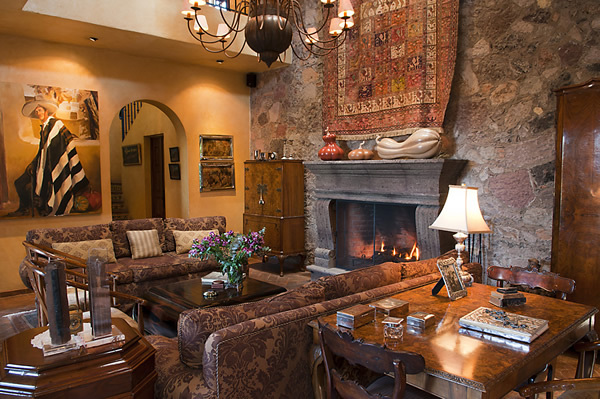 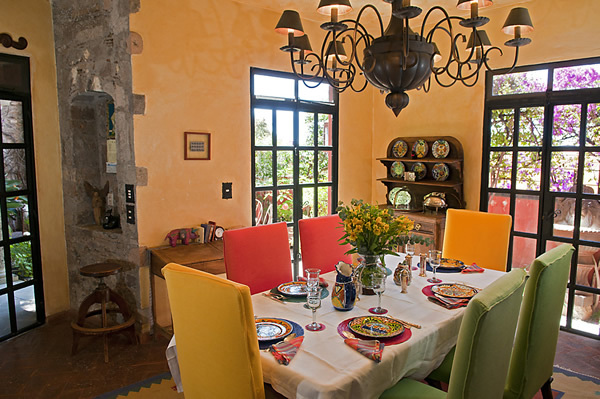 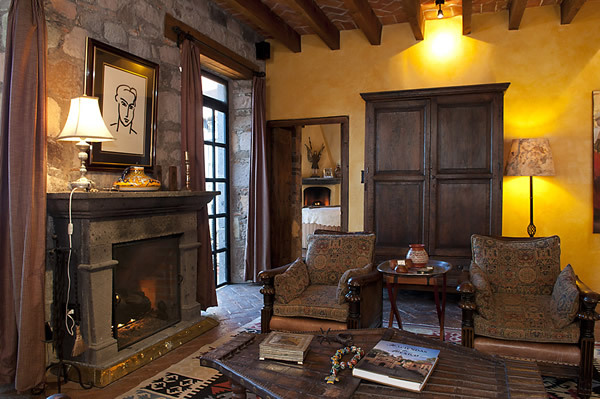 Casa Santiago is located on the upside of the Jardin, five blocks away, offering the most magnificent view of downtown San Miguel with all the beautiful churches and countryside beyond. 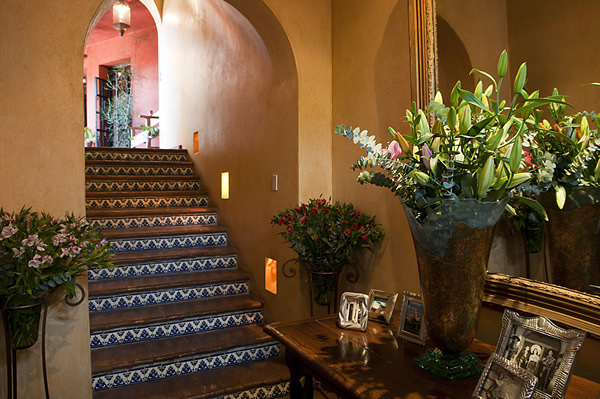 This fine home is magnificently decorated and offers the utmost in colonial style. 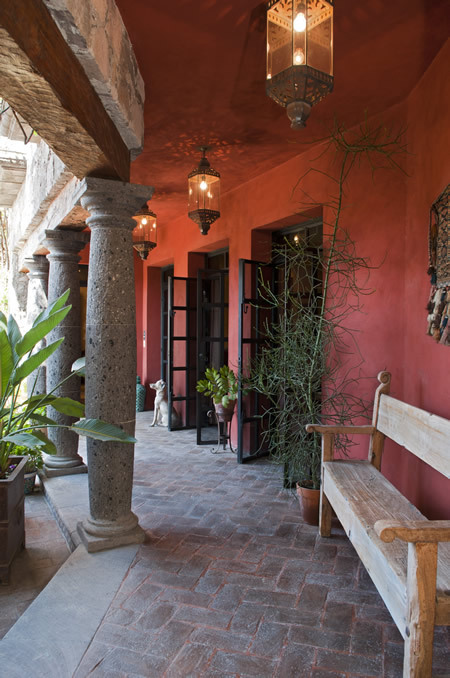 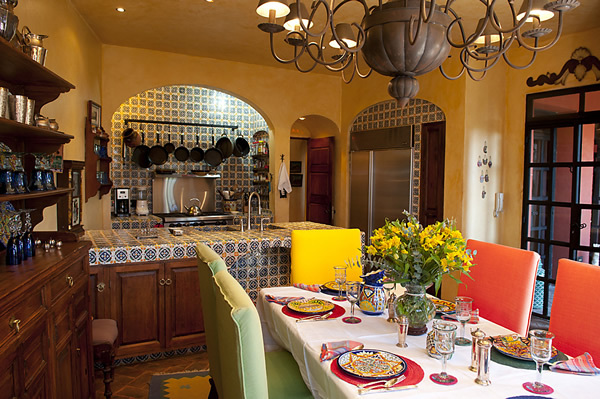 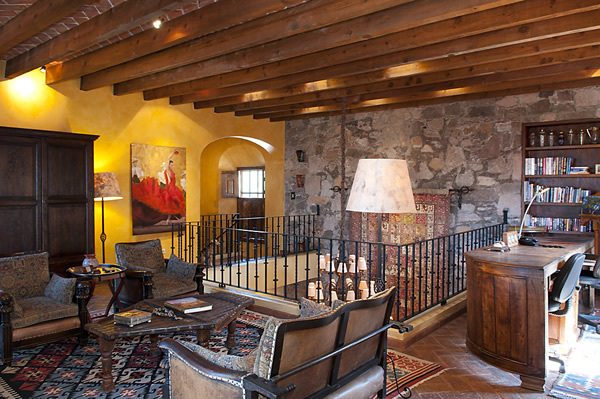 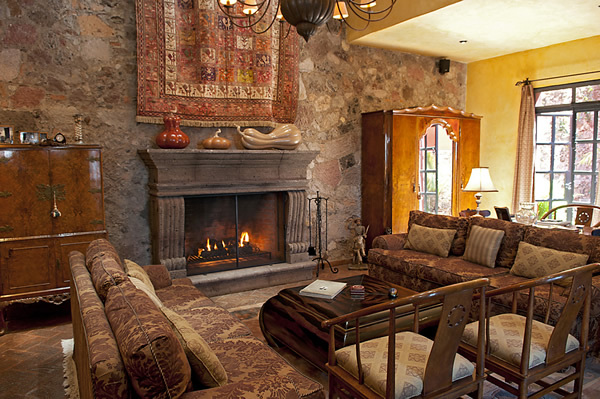 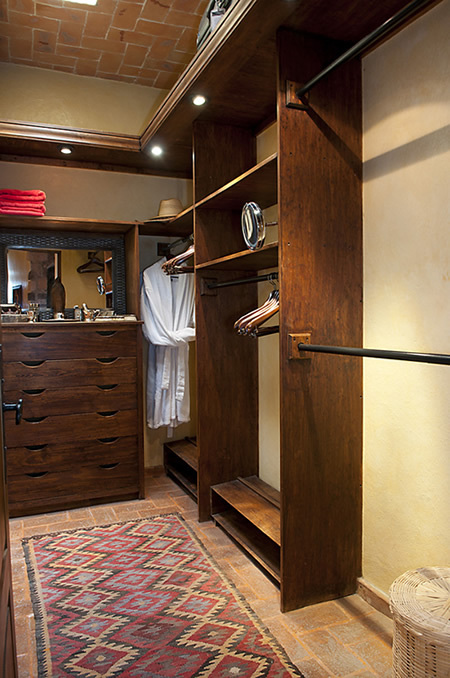 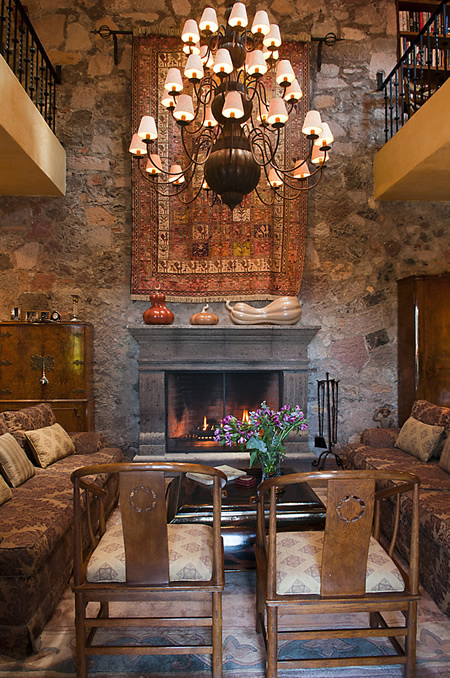 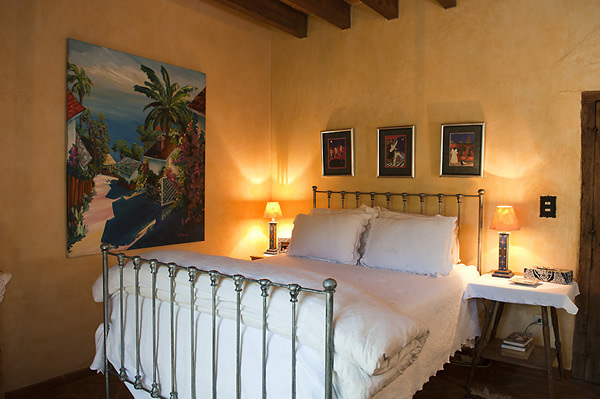 It is the creation of two decorators who wanted to recreate the Mexican colonial style by remodeling one of San Miguel's older homes into a showcase property. 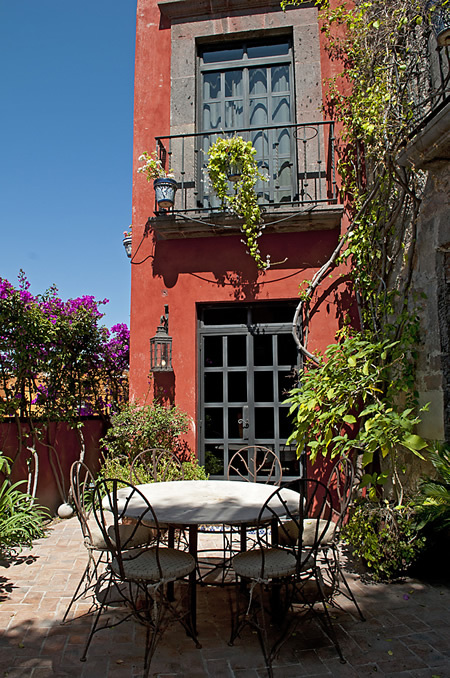 It is truly one-of-a-kind, located on a picturesque cobblestone street just above the town center within a 10-minute walk from everything San Miguel offers. 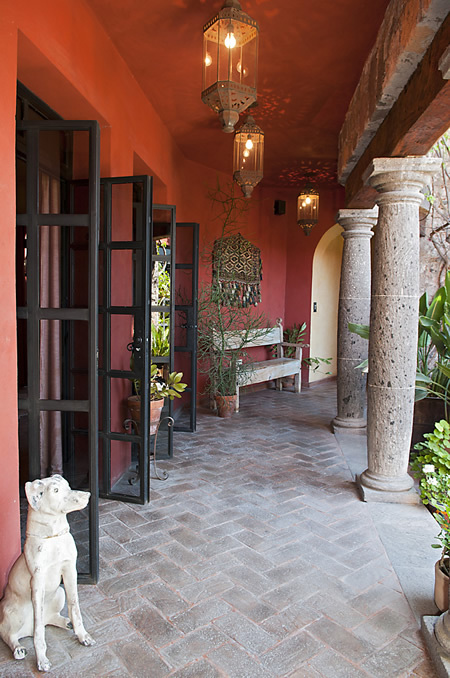 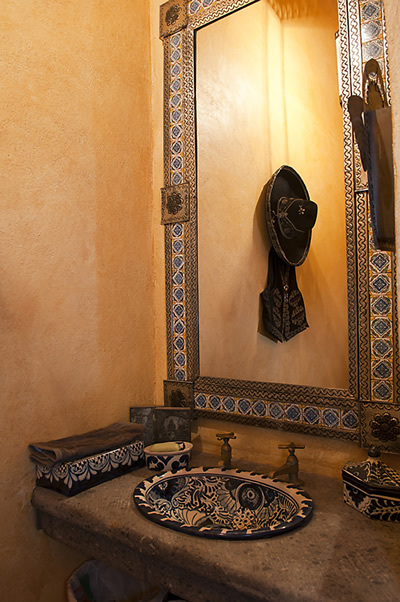 The house has beautiful handmade tile, wonderful stone arches and a grand entry. 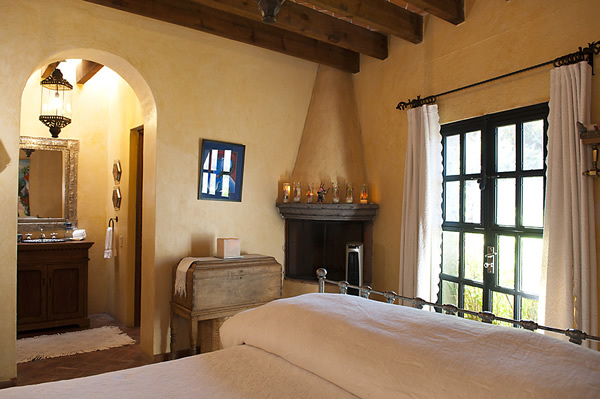 Sondra the maid comes Tuesday, Thursday and Saturday to clean. 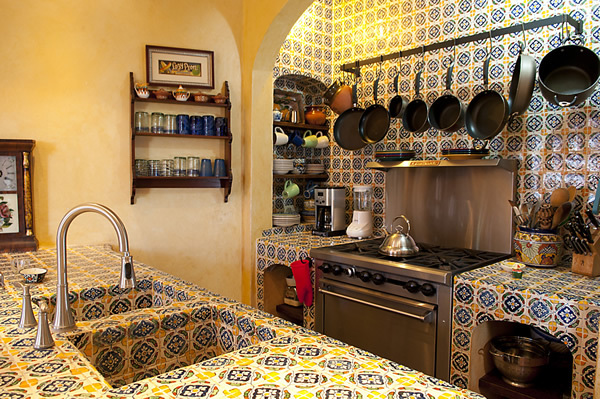 On those days, she can cook breakfast and/or afternoon snacks, if you wish, in which case she would not be able to clean as thoroughly or do a lot of laundry. 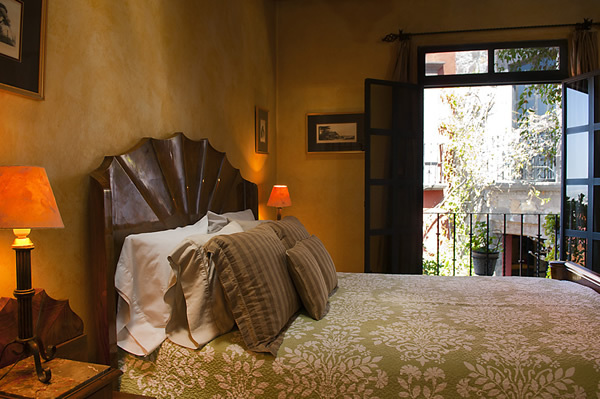 She changes sheets once a week. 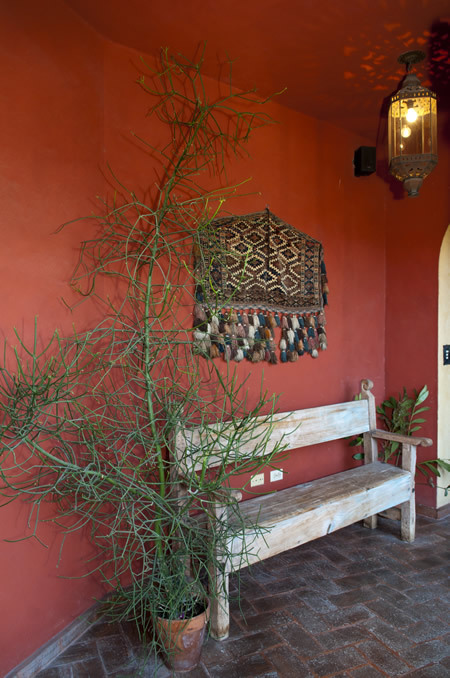 The owners have collected art from all over the world, and it is beautifully displayed along with local weavings and paintings.